Pegasus Golf & Sports Club includes a well-equipped gymnasium that makes working out and staying fit enjoyable. 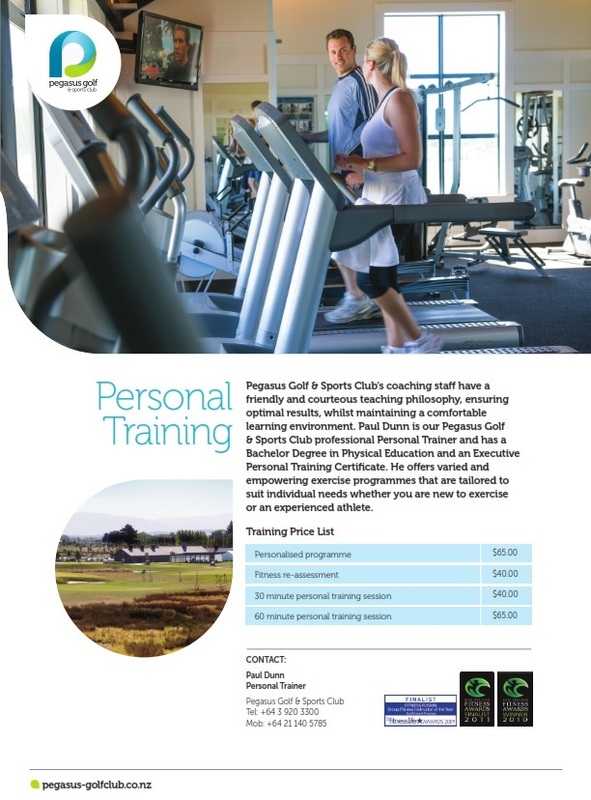 It offers the latest equipment, expert personal trainer services and a range of fitness programmes tailored to suit your needs. With a proximity card it’s open 24-hours every day. Chat to Paul Dunn, the Pegasus Golf & Sports Club professional Personal Trainer. Paul has a Bachelor Degree in Physical Education and an Executive Personal Training Certificate. He offers varied and empowering exercise programmes that are tailored to suit individual needs whether you are new to exercise or an experienced athlete.